Prof. J. Patrick Barron is an editor/editorial consultant for a wide range of journals including the Journal of Gastroenterology, Breast Cancer, the Journal of Bronchology, Allergology International, and the Journal of Cardiac Surgery. 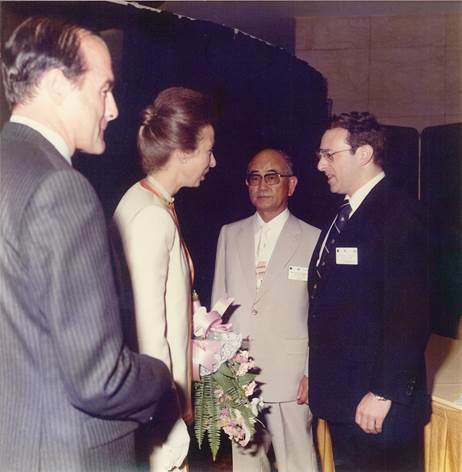 In 1975, he first proposed the idea of a communications center for a Japanese medical school; thereby innovating ideas for medical communications centers, in-house support for medical writing, and the flow of the information from within Japan to the outside. For more biographical information, please see part one of this three-part interview series. As the Director of the Department of International Medical Communications (DIMC) at Tokyo Medical University, you promote “English for medical purposes” education in Japan. Could you elaborate on your aims and objectives and the course of action you are following to achieve them? First of all, your question concerns English for medical purposes and I think it is extremely incisive of you to pinpoint the necessity for defining the raison d’etre of English for medical purposes. When I came to Japan, there was no such thing as English for medical purposes. My experience with editing papers, even though I was very much a novice, made me realize this tremendous gulf that existed between me and the authors who were in command of the terminology related to the field but were perhaps not using it in the best possible manner. I came to realize that there are ways of communicating that a layperson does not know. I was very lucky in that my mentor Professor Yoshihiro Hayata was very well known within the Japanese surgical and chest medicine areas and was invited to many closed meetings between the US and Japan on lung cancer. These were meetings that were held every year alternatively in Japan and the US with about 12 visiting specialists from the other country and about 20 specialists from the host country. By being able to be, as you might say, a fly on the wall, I was able to understand how specialists communicated with each other, which is not how laypeople would discuss with each other. Now, let me backtrack a little bit to 1972 when I was asked by Professor Hayata and the leading publisher of English language medical textbooks in Japan to translate an atlas on lung cancer. I was extremely honored by the offer even though there was no remuneration, but after giving it thought for two or three days, I decided I could not do the project justice because I did not feel confident in being able to express the details of the subject that would be required for the international audience, so I refused. However, Professor Hayata with his usual direct approach said, “We’ll teach you.” Thereafter every week, I would go in on Friday evenings and from about 7:00 to 10:30, or even midnight, and I would be taught by Professor Hayata and five or six of his staff. They would show me the X-rays, the pathology findings and, at that time, the newly developed fiber optic endoscopic findings as well as photographs of the resected specimens of the patients that they had treated. I think I did a very honest job of the translation of that book, but I was subsequently relieved that it was never published, because one of the authors who was in charge of the pathology section had insisted on writing his own English. However, he was an extremely famous person in pathology and therefore so busy that he never actually got around to it, so the book never got published. 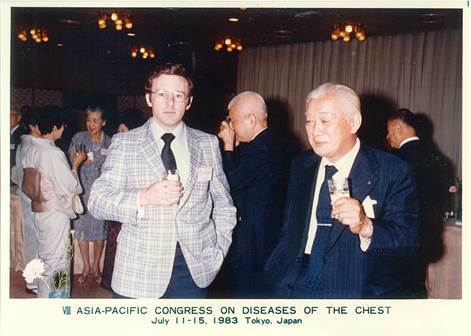 Fast forward two or three years to when I was in the US–Japan committee meetings on lung cancer: being a fly on the wall and having been taught by Professor Hayata and his staff about lung cancer, I was able to understand very much of what they were saying. Since I did not have the benefit of going to medical school, I did not have the opportunity of picking up the 'medical' type of expressions that are used in oral communications and also in written communications. That made me realize that there is a real need for teaching English to medical professionals and when I became an associate professor in 1980 at St. Marianna University School of Medicine, I started to introduce what I called Medical English, since at that time there was no other term available. Some people were very supportive of this and some people, including clinicians, told me I was talking absolute nonsense—that there was no such thing as Medical English; there was only English. I had seen with my own eyes and had heard with my own ears that that was not the case. The way that doctors talk to each other and the way that doctors write papers is not the same as how a college graduate writes a paper in the humanities. That is why I was so dedicated to establishing a course that would be become universally employed within Japan to teach medical students sufficient English in their own field to be able to communicate with others within their field. I believed that all medical students should be given the same opportunities; whether they make use of the opportunities or not, that would be up to them. However, it is up to the teachers to develop a uniform, useful and practical curriculum that they can use. That is why I tried to start a society for teachers of Medical English in 1982. I sent out a questionnaire, paying out of my own pocket all the postage including the stamped return envelopes, etc. to about 450 teachers in medical schools throughout Japan, and of the 450, a total of 4, including myself, indicated they might be interested in joining a research society or academic society on the teaching of the medical English to medical students. I was extremely disheartened. Four out of the whole country—and if you know Japanese geography— there was one in Honshu, the main island, one in Hokkaido, one in Shikoku, and one in Kyushu. This is not exactly the kind of support I had envisioned. Quite frankly, the main problem was that many of the English teachers in medical schools were teachers who had not been able to get positions in English departments in regular universities and, as such, were very hesitant to be intellectually adventurous enough to take on a whole new discipline; especially, as I’m sure that many of them genuinely believed, if they taught medical texts incorrectly to their students, this could result in a bad effect or even a fatality for the patients. So there was a very negative aura surrounding the idea of English for medical purposes. And that is what I set out to overcome. What I did was I used real medical textbooks—not the kind of textbooks that are available in the West for teaching what I called semi medical English. It sounds a little different from normal English, but it’s not really the way health professionals talk. I was lucky enough to have been pushed into a situation where I was in the middle of clinicians who were trying to communicate with each other and I saw the problems and tried to overcome them by showing the students videos that had been presented at international meetings on endoscopy. I showed them endoscopy movies that I had translated myself and also narrated for international congresses. I had to be very careful so that I could not be accused of teaching medicine without being a doctor. What I could say was that I was teaching what I had translated and what I had narrated. Actually, there was no problem about that and gradually the idea became stronger, but it took somebody with more clinical influence than myself to actually get a society going and that person was Professor Kenichi Uumura who is a neurosurgeon. Also, I had a lot of support from medical publishers, drug makers, and medical device makers. 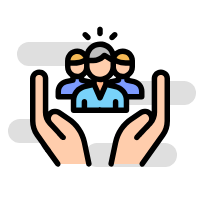 I very early joined Uemura’s society, the Japanese Association for the Study of Medical English Education (JASMEE) which now has 500 members: about 50% clinicians, 50% language people. I hope it will have the effect of developing a uniform curriculum or series of units that could be used effectively for bringing medical graduates to the same level to communicate in English in their field. Your longstanding international outlook is quite apparent, given your background (originally from Scotland, pursued Japanese, and Oriental and African studies) and your current work (delivering lectures widely on medical communications in Europe, North America, China, and Korea). You are working with the DIMC for a standardized curriculum to globalize English for medical purposes education throughout the world. Can you share, in your view, the benefits of such international integration and the challenges the different regions may need to overcome in the process? I think that a standardized, harmonized program for English for medical purposes is necessary for medical schools throughout the world. I think this has been highlighted by the fact that since the EU has come into operation, any graduate of an EU medical school can move to practice in another EU country. This means that doctors from Sweden can moonlight in France, doctors from Germany can moonlight in the U.K., etc. This is good but there is a problem of language, and there have been cases of serious incidents and actual fatalities in which doctors from the mainland of Europe coming to the U.K. made mistakes concerning the name of the drug or the dosage because of the similarity of the name but actual differences in the composition of the drug. More importantly, it is vital for the huge amount of information that is lying inert in Eastern Europe, China, Korea, Japan, Indochina, Africa, and South America that has not seen the light of day to get into the international literature so that the patients can benefit from it. That is the ultimate goal -- that the patients benefit. And there is just too much lack of awareness on the part of the reviewers: if the authors of a paper do not happen to be native speakers, this clouds their judgment concerning the science of the paper. Therefore, a standardized curriculum is what we at Tokyo Medical University are working on, especially our Hungarian colleagues at University of Pécs—Professors Rebek-Nagy and Warta and other European colleagues—attempt to make a uniform system for testing and teaching English for medical purposes to healthcare specialists in Europe. Read the last part of our interview with Professor J. Patrick Barron in which he shares information especially for authors.